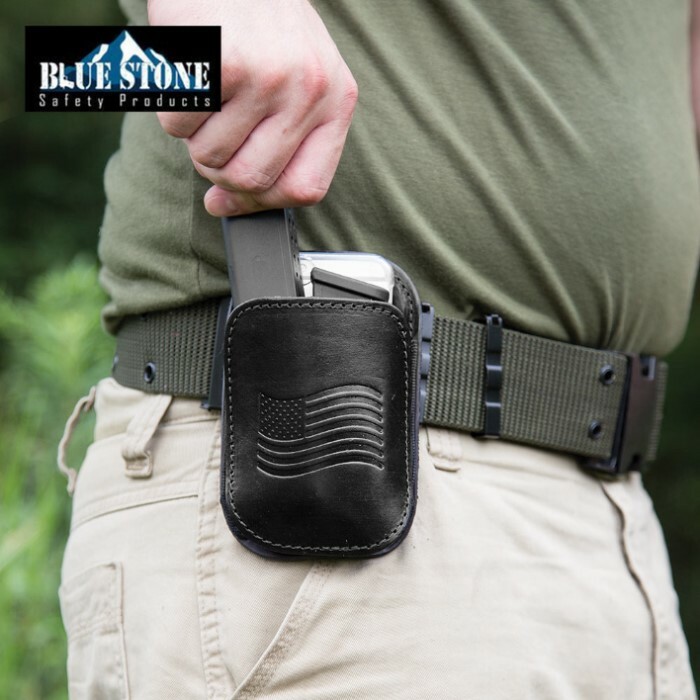 Blue Stone iPhone Case Concealment Mag Case | BUDK.com - Knives & Swords At The Lowest Prices! 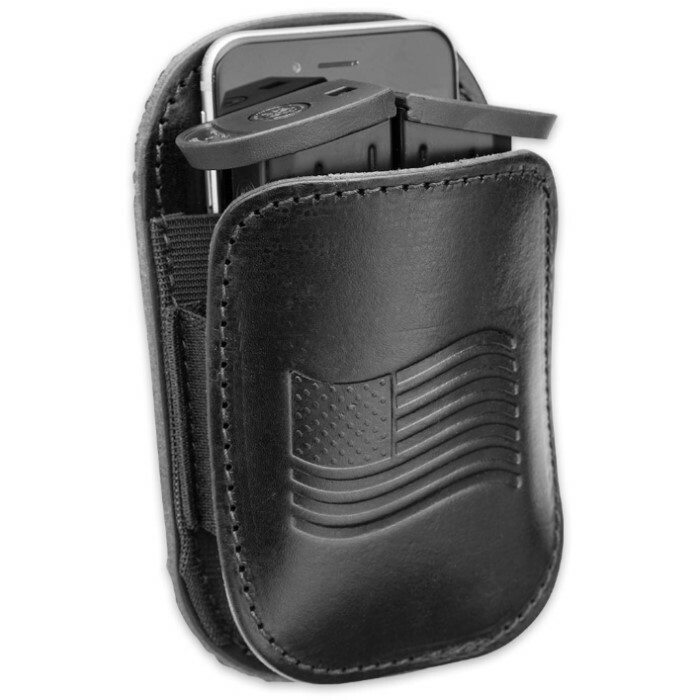 This genuine black leather 3-in-1 holster combines functionality, convenience, and protection. 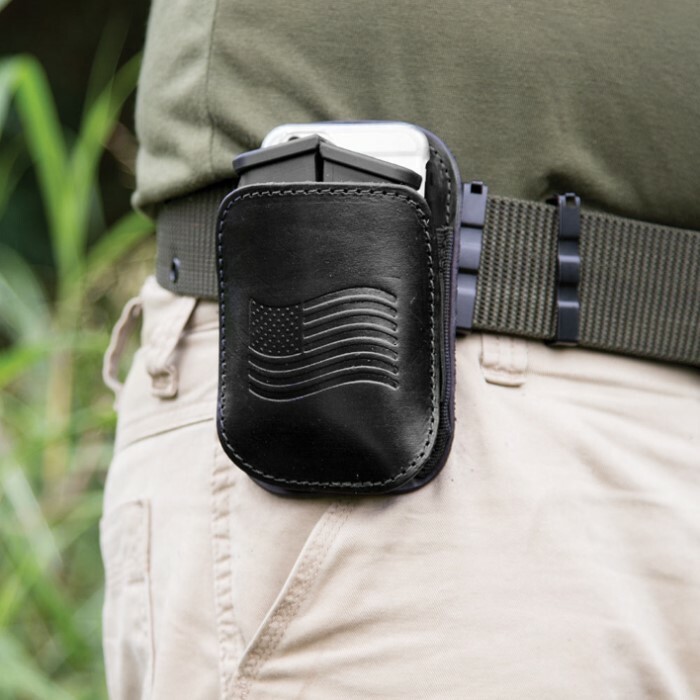 It is designed to accommodate your smartphone and/or up to two magazines. It is also perfect for a sub-compact .380 style handgun. It features a tempered spring steel holster belt clip with a black oxide finish and heavy-duty white stitching for long lasting durability. Clean lines and stylish construction makes this case the perfect accessory - from a suit and tie to jeans and a t-shirt.